Where to Buy Martins Flee Aerosol, Flee Aerosol Spray Frontline Insecticide - 6.5 Oz - $15.95 for Sale with Fast Free Shipping! 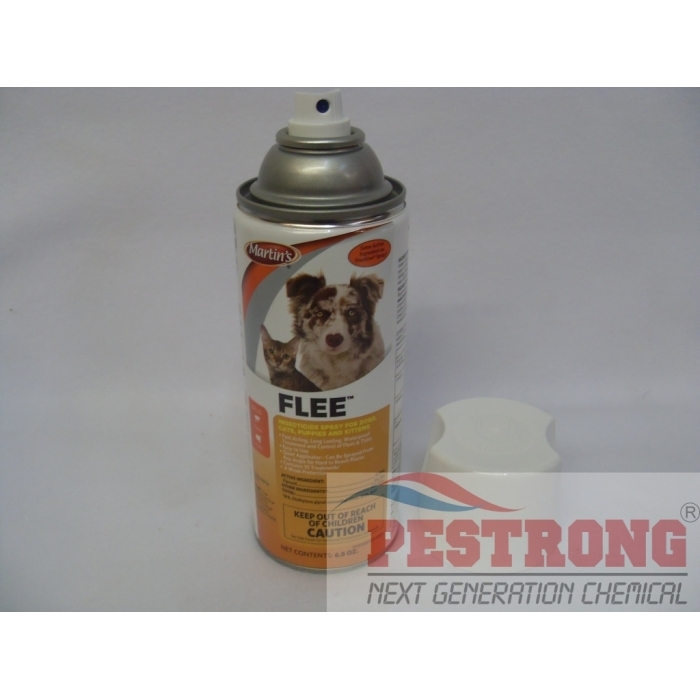 Flee Aerosol Spray Frontline Insecticide - 6.5 Oz with Fipronil for Dogs, Cats, Puppies & Kittens features fast-acting, long lasting, waterproof treatment for control of fleas and ticks. Quiet applicator can be sprayed from any angle, even upside down. One treatment last 4 weeks. Dries fast with no lasting smell or oily spot. 6.5 oz can contains 10 treatments (based on a 15# dog or cat).